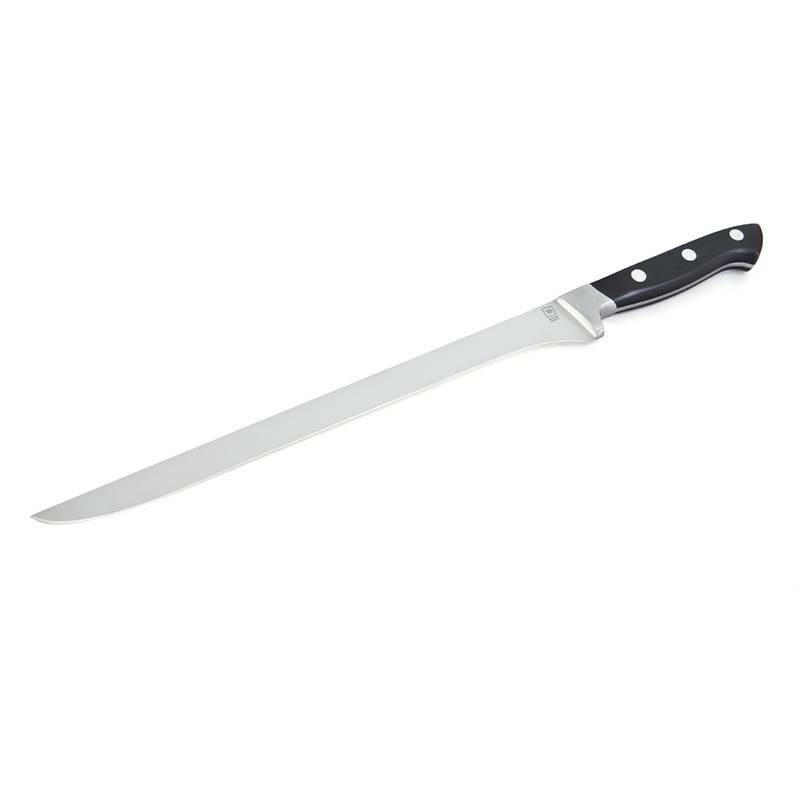 Wisely balanced by its ergonomic handle, the slender and long blade of this ham knife is one of the most flexible and thin blades of the Forgé Traditionnel range. Made out of POM, the handle perfectly fits in your hand and can be handled with great dexterity. 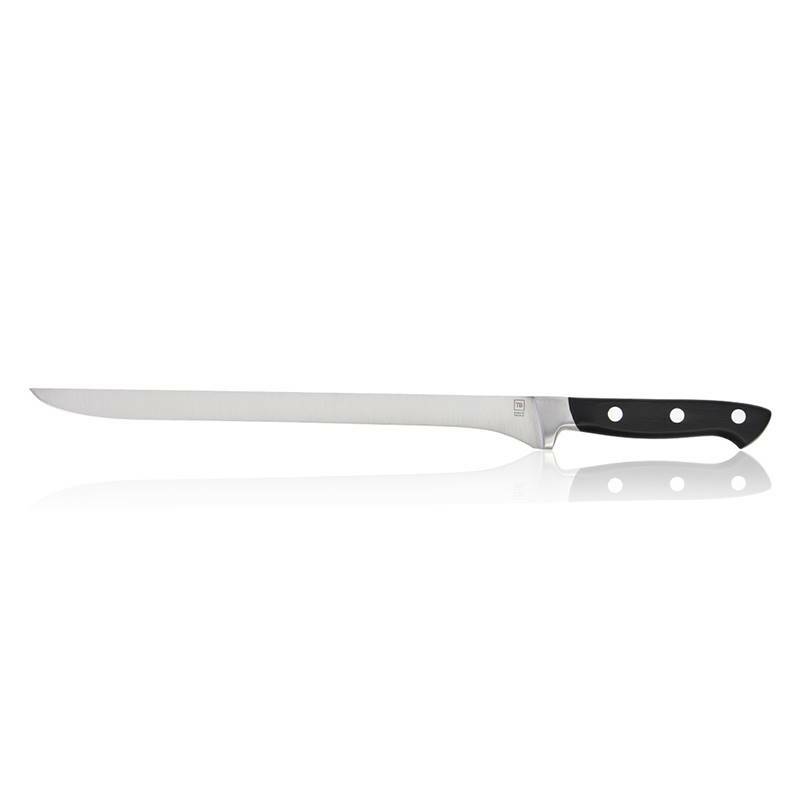 Real professional knife, all its cuts are irreproachable! 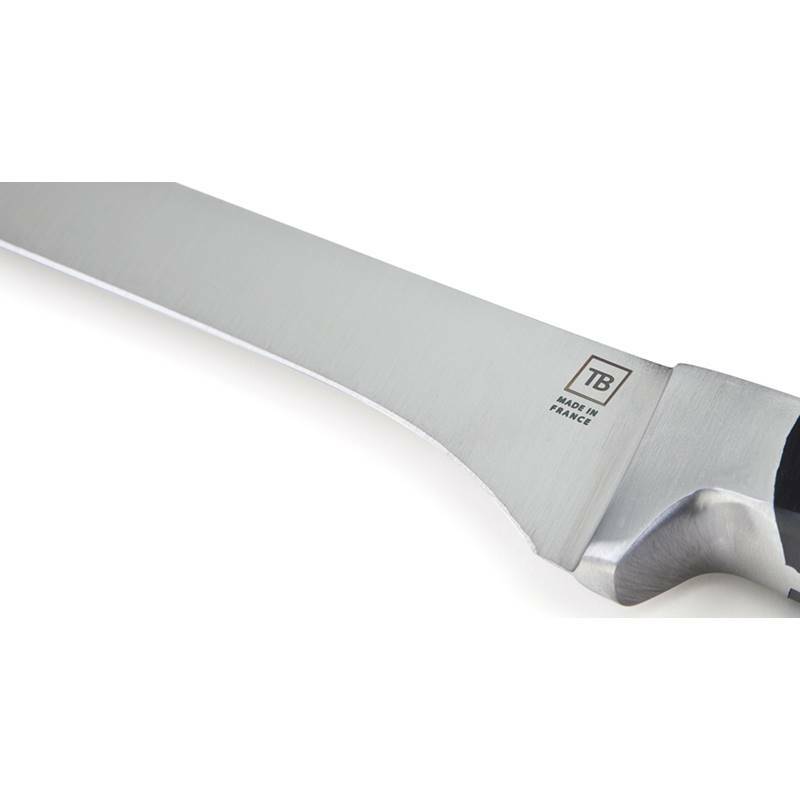 Top selling knife maker in France, the French cutler Tarrerias-Bonjean manufactures its Made In France knives from top-of-the-line materials. 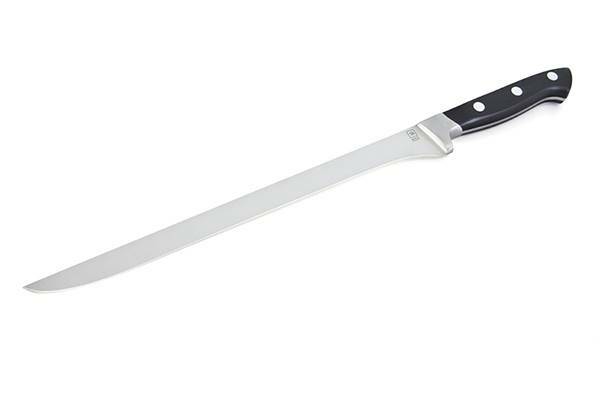 As well as the other knives from the Forgé Traditionnel range, this ham knife benefits from an ancestral family know-how. 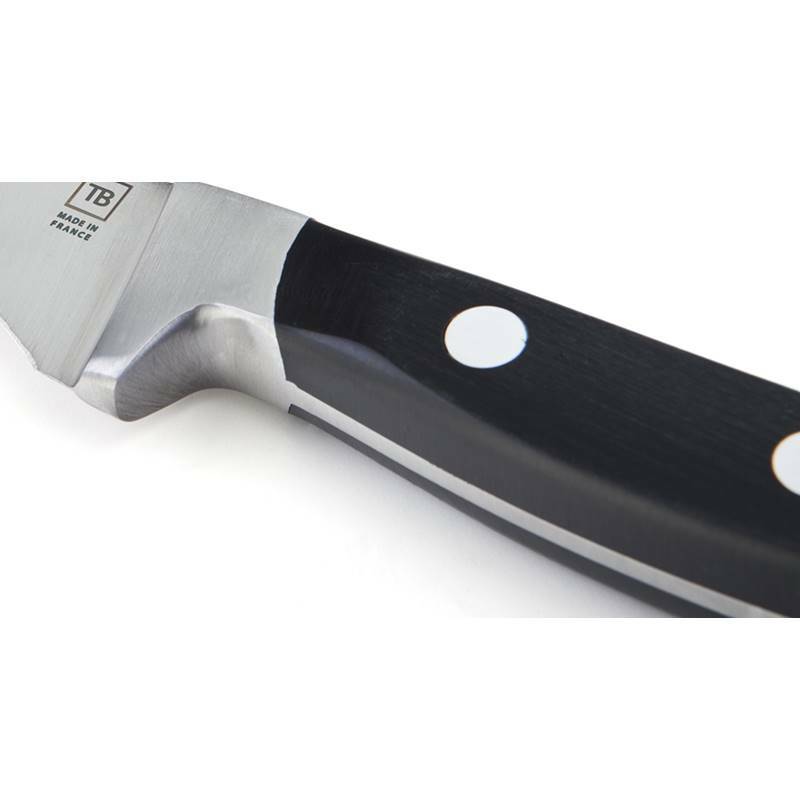 For this knife to be customised, a personal message can be engraved on the blade up to 30 characters.